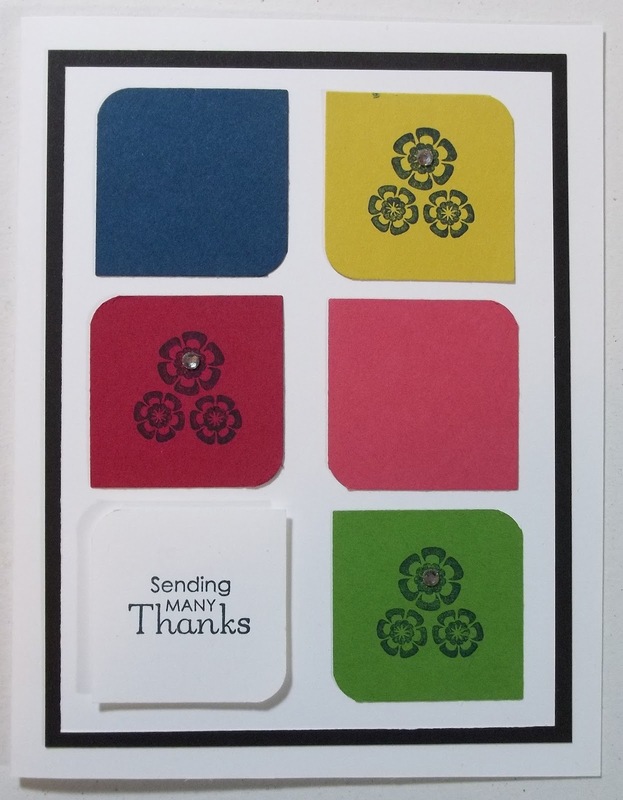 This card showcases the new 2012-2013 InColors. Its a very simple design: each piece started as a punched square and then we used a corner rounder punch to round opposite corners on the square. The little image that is stamped on 3 of the squares is from a stamp Set called Betsy's Blossoms. This is one of the new stamp sets just released in the new catalog. 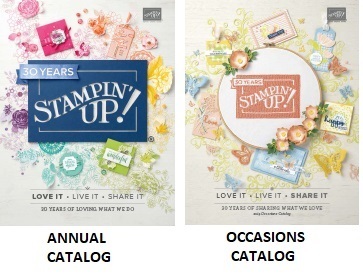 Do you have your new catalog yet? If not, then contact me to see how we can get one to you. Its also available on-line. The sentiment is from a different stamp set called Petite Pairs. I really like this set: I like the words in it and I like the font. By the way, inside the card is the rest of the sentiment - it says "for everything you are to me". And ALL the stamps in this catalog (except the individual ala carte stamps) are available in either wood mount or clear mount. 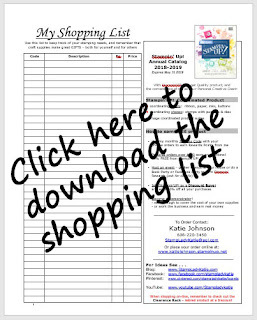 And if you don't already have a paper catalog then contact me to discuss how we can get you one.